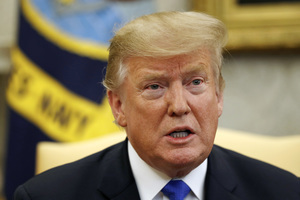 According to Law360, President Donald Trump’s budget for fiscal year 2020, released Monday, calls for $11.5 billion in funding for the Internal Revenue Service, up from $11.3 billion in the current fiscal year. The Trump administration’s "Budget for a Better America” would work in tandem with legislation that would require employees and those attempting to claim the earned income tax credit to provide their Social Security numbers, while also encouraging general taxpayer compliance, according to the budget. The measures would yield an additional $47 billion in revenue for the IRS, the budget said. “The proposed budget ensures Treasury has sufficient resources to continue implementing the country’s most comprehensive tax reform, which is helping American families, fueling economic growth and contributing to historically low unemployment levels,” U.S. Treasury Secretary Steven Mnuchin said Monday after the budget’s release. He was referring to the 2017 tax overhaul, the Tax Cuts and Jobs Act. The $11.5 billion request is up from the $11.3 billion currently appropriated to the IRS for fye 2019, which ends Sept. 30. The proposed IRS appropriation was quickly panned by the National Treasury Employees Union. “A slight $200 million increase in the Internal Revenue Service budget does little to make up for $845 million in lost funding over the last 10 years,” the union said in a statement. The budget also proposes providing $50 billion in a tax credit over 10 years for families pursuing private educational options. Specifically, donors to state-sponsored scholarship-granting organizations would be eligible for the credit. “This proposed tax credit isn’t intended to incentivize charitable giving; it’s a brazen effort to distort the tax code into a tool for funding private and religious schools with public dollars,” Carl Davis, the ITEP research director, said at the time.